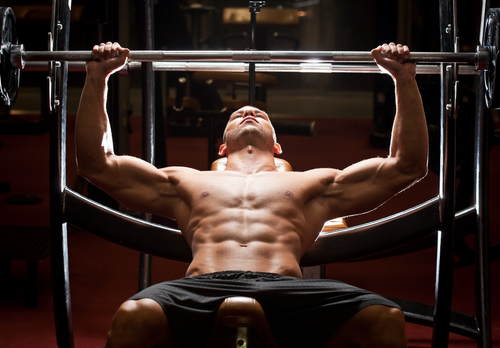 Is Bench Pressing Bad For You? - Here Is Your Answer. Is Bench Pressing Bad For You? Bench pressing is a great way to build upper body strength, gain muscle definition, and burn fat. It also has a host of other benefits, but the dangers of improper form and not using a spotter are just a lift away, so take proper precautions. The bench press works several muscles at once. Although the primary focus is on the pectoralis major chest muscles, it also provides a good work out for the deltoids, triceps, biceps, rhomboids, and serratus anterior, and rotator cuff. 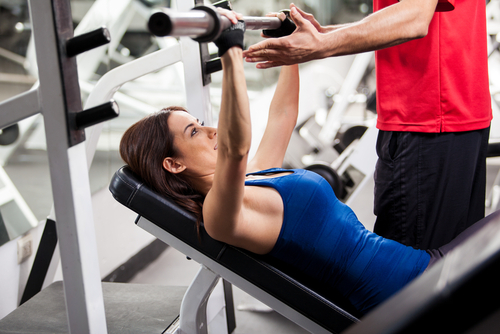 By helping build muscle mass, bench pressing can also be a good way to get rid of excess fat. Not only can you gain more muscle, but you gain flexibility and increased bone density, leading to a reduced risk of osteoarthritis. 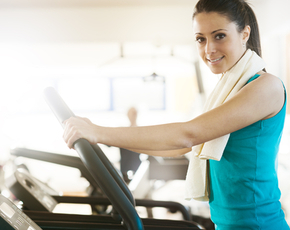 Furthermore, as with other exercises, it helps the body process sugar, limiting the risk of diabetes. There is also a general consensus among professionals that regular bench pressing can lead to reduced "bad" cholesterol and an increased amount of "good" cholesterol, reducing the risk of heart-related diseases. Perhaps one surprising benefit is that people who bench press regularly are also more efficient runners. This has to do with the role of the chest and arms in running, which bench pressing properly conditions to have the optimum form for running. There are three vital things to remember when bench pressing: have a spotter, use correct form, and don't do more weight than you can handle. Unfortunately, some people break some or all of these basic rules, resulting in serious injuries. 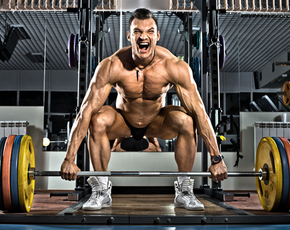 The most common injuries from bench pressing are torn pectoral muscles and damaged rotator cuffs. Both of these injuries can be very serious, require surgery, and put you out of the gym for months. Also, lifting too much can cause strain on the shoulder blades, leading to pain and/or inflammation, which can have the added effect of limiting muscle development. Letting the bar bounce off the chest or trying to rack the weights at the end of a rep are two very common - but very dangerous practices that may also lead to injury.